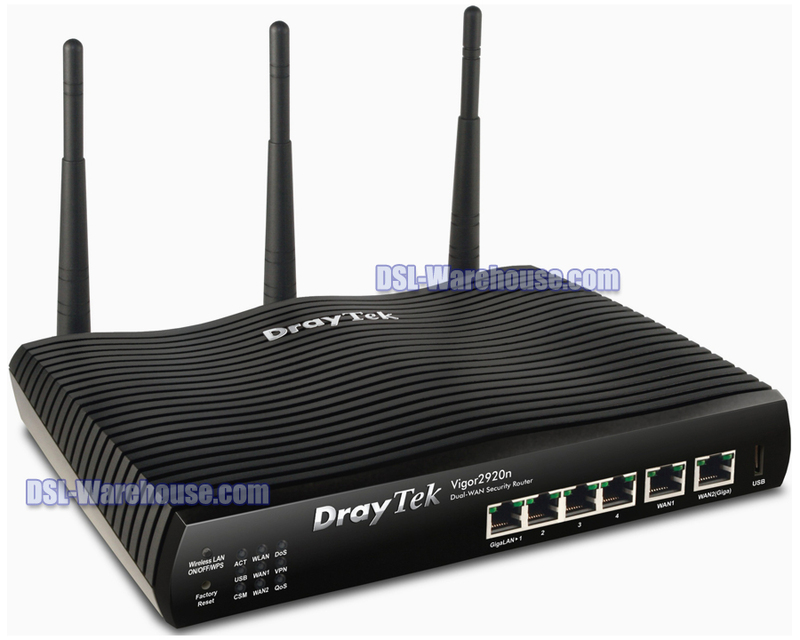 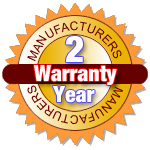 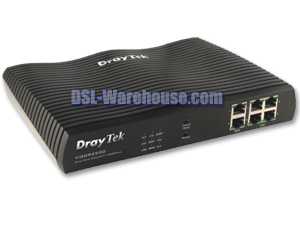 The Draytek Vigor2820n is an ADSL2+ IEEE802.11n Compliant ( Draft 2.0 ) Modem Router Security Firewall device with a 2nd Ethernet WAN port (Dual WAN). 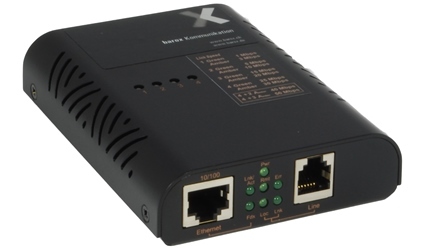 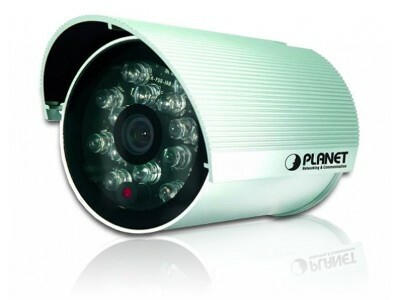 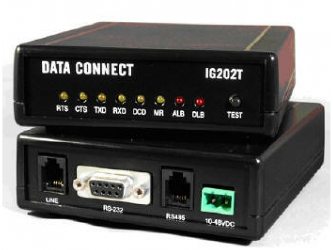 This 2nd WAN can connect to DSL/Cable modem or fiber media converter for policy-based load-balancing, fail-over and Band Width on Demand (BoD); it also features advanced bandwidth control mechanisms such as IP-layer QoS, NAT Session Limitation, Bandwidth Borrowed, etc., to provides you with easy, flexible and reliable access control and bandwidth management. 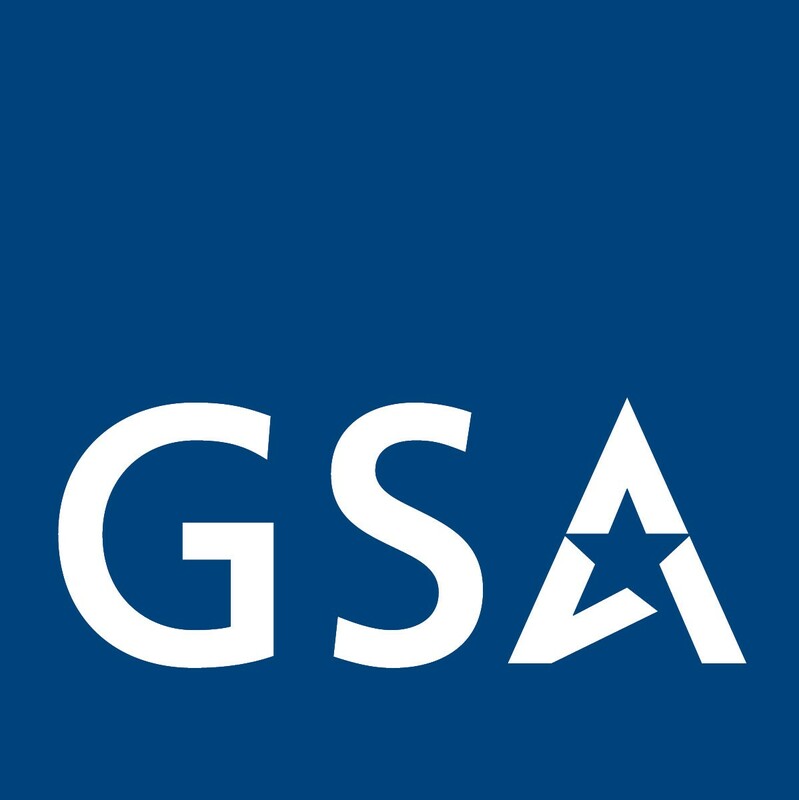 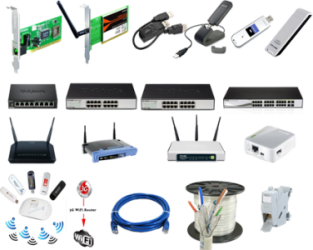 The SPI (Statefull Packet Inspection) firewall uses Object-Based design to make setting of the firewall policies a snap! 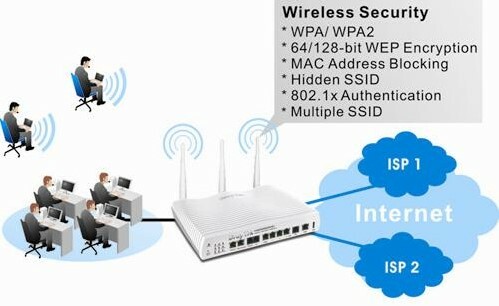 The CSM (Content Security Management) feature allows more precise and efficient access control for URL/Web Content Filtering, IM (Instant Messenger) and P2P (Peer-to-Peer) applications. 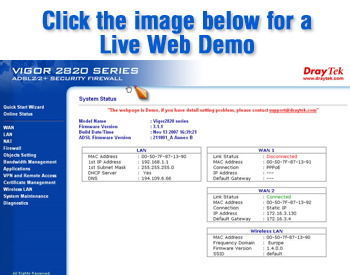 Vigor2820n model complies with 802.11n ( Draft 2.0 ) standards. 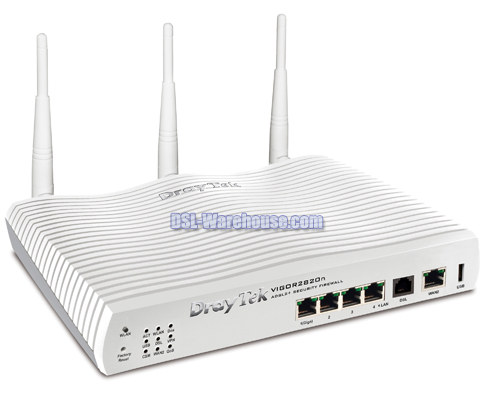 Supporting WEP / WPA / WPA2, encryption and MAC Address Control, Wireless LAN Isolation, Multi SSID and 802.1x authentication. 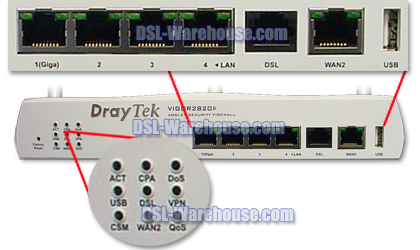 The Wireless Rate Control function can adjust the data rate of each wireless station ( client ). 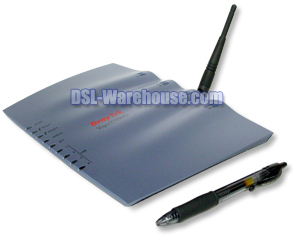 WDS can help users to easily extend wireless coverage. 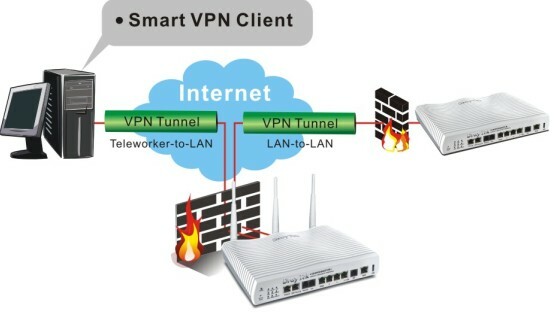 With the hardware-based implementation of the VPN protocol, the Vigor 2820n supports up to 32 VPN tunnels using advanced protocols such as IPSec/PPTP/L2TP over IPSec with AES/DES/2DES for encryption and MD5/SHA-1 for authentication. 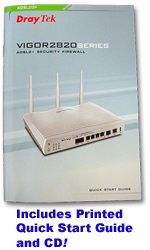 The SPI firewall uses Object-Based design to make setting of firewall policies easy. 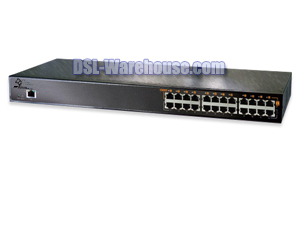 The CSM feature allows more precise and efficient access control for URL / Web Content Filtering, IM and P2P applications.